Sony May Kick The Oculus Rift In The Gonads | OhGizmo! By David Ponce on 03/20/14 • Leave a comment! Virtual reality made an early attempt at adoption in the mid 90’s; those of you old enough will remember the clunky helmets, the terrible lag and awful resolution. No wonder it failed. Now with the work being done on the Oculus Rift, there’s hope that the second wave of that tech will catch on. But as awesome as the Oculus Rift is, there are still many obstacles in the way of its mainstream adoption. Sony may have put yet another roadblock in the form of its Project Morpheus. This is going to be Sony’s own attempt at one-upping the Oculus. Whether the device itself is superior in the end doesn’t really matter, since the fact that Sony’s peripheral will be native to the console means it’s much more likely that developers will code around it over the Oculus. Yes, that does mean VR wars are shaping up, but we’re a little worried for Oculus. 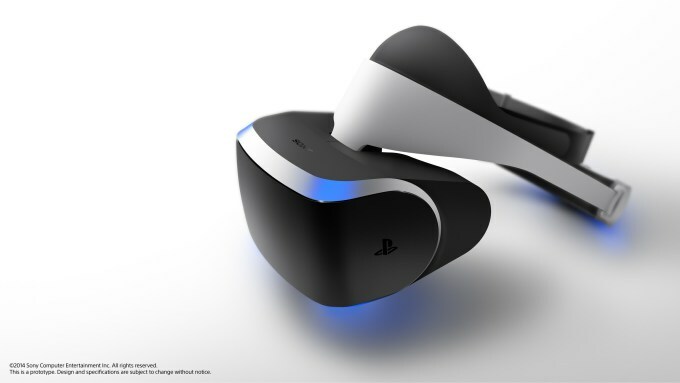 What does Project Morpheus have in the bag? Content pushed to the Morpheus can be mirrored to a TV, but it sounds like it can handle asymmetric gameplay (different things on each screen) as well. As for when this is ready for prime time? At this point it’s anyone’s guess.